Pixelmator has long been a favorite among artists and photographers seeking an alternative to the subscription-based Adobe Photoshop. The company’s appearance onstage at Apple’s most recent event, to introduce its eagerly awaited iPad app, has certainly given Pixelmator’s profile a boost. Now that it’s here — just in time for iOS 8 — we took Pixelmator for iPad for a spin and found it a solid contribution to the slate of image editors for the iPad, and especially useful for those already using Pixelmator on the desktop. 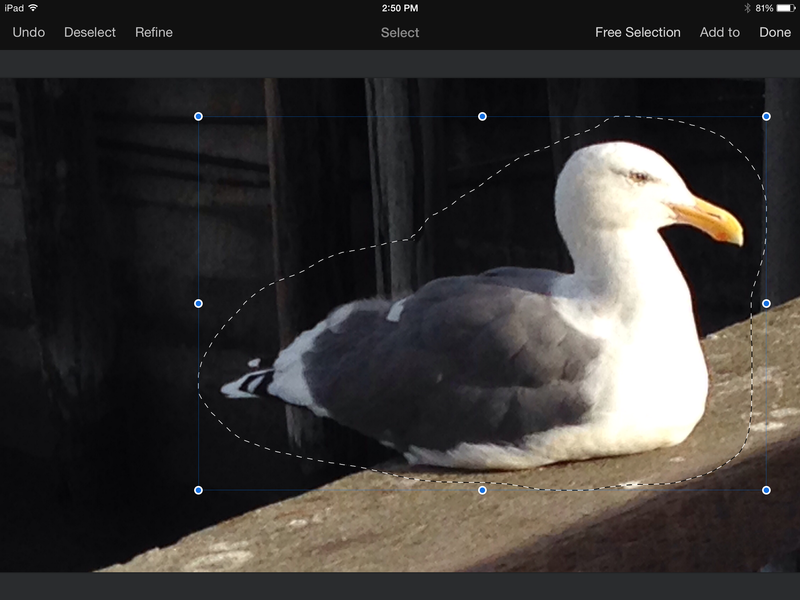 With the mobile Pixelmator, available for iOS only, you can create drawings and paintings from scratch or pull photos in from your Camera Roll to adjust or use in layered compositions. The usual edits are available in an easy-to-use layout. The app’s layout is clean and uncluttered. 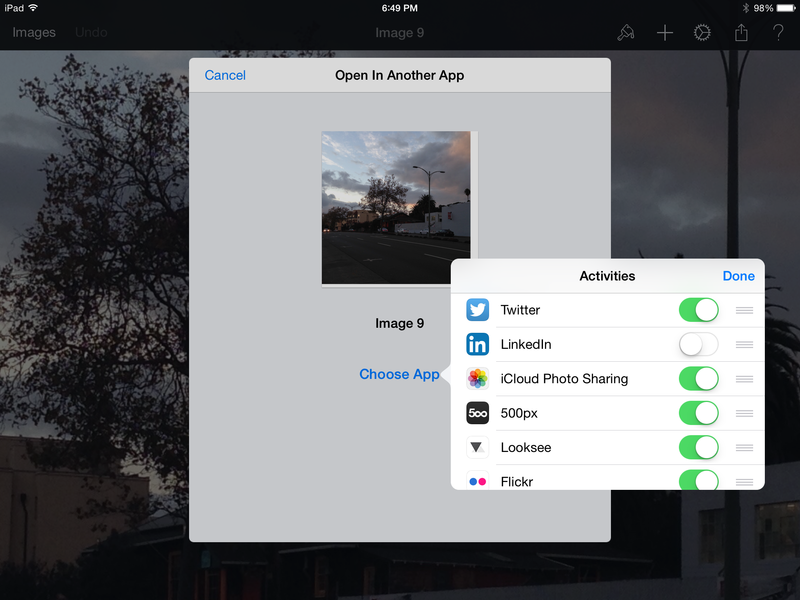 The left hand side of the screen is devoted to image admin, giving you options to create an image, shoot a picture with your iPad’s camera, or choose an image from your iCloud Drive or Photos app. 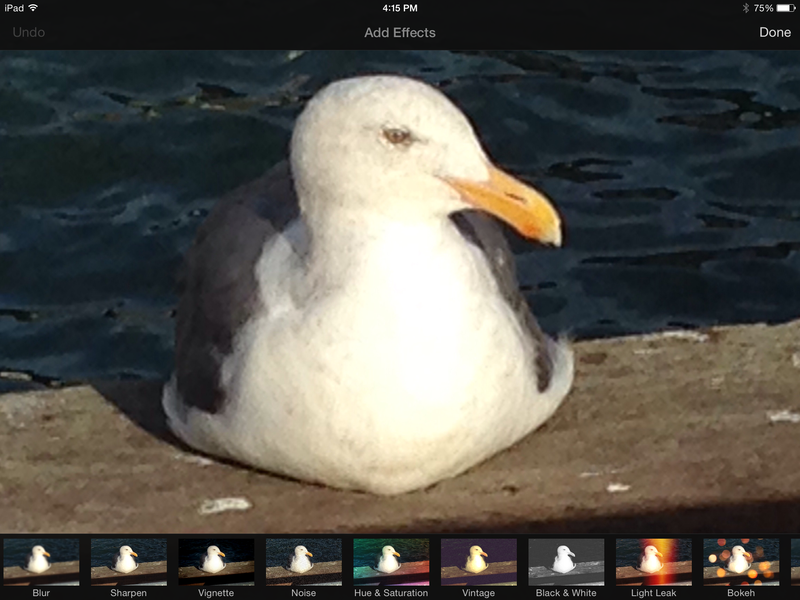 Pixelmator is no slouch in the compositing department, with a flexible layer-based interface. Pixelmator provides a variety of professionally designed templates for collages, frames, greeting cards, posters and photographic effects as an easy point of entry for newcomers to see the app’s capabilities and elegant presentation. Each effect opens up to a range of additional, customizable presets. 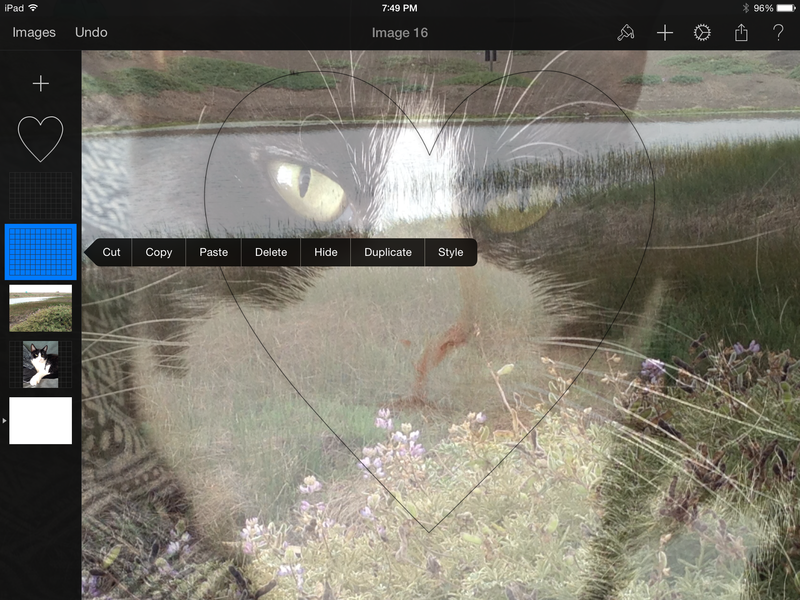 The heart of the app is accessible from the top right-hand side of the screen, where a Tools menu offers painting, retouching, color adjustment and special effects. That menu also contains a variety of selection, cropping and formatting tools. Each special effect opens to a variety of additional effects in the same genre, which are individually customizable with touch and rotary controls. Retouching tools such as Sharpen, Soften, Fix Red Eyes, Repair and others worked as expected as you apply edits with your finger or a stylus. While you can keep tapping the Undo button to remove edits and eventually get back to your original image, it would be nice to have a universal Revert button on every screen. There’s plenty of room to get your edits to look exactly like you want them to. For the most part, I found the app easy to use, and if you’re familiar with the desktop version of the program, you’ll already have some idea of how Pixelmator approaches image editing. That said, I found the more complex selection tools, such as the Magic Wand and the Paint Selection, a bit slow on the uptake. The app is optimized for the newest iPad Air 2, of course, but it does work on most older models as well — perhaps a little more slowly than I expected on my iPad Air. Simple selection were quick, but complex selections took more time. Under the Plus (+) menu are a series of graphical tools, such as vivid colors, patterns and gradients that you can use for compositing, in addition to text and shape tools. While many photo text apps let you use gestures to change the size of text on screen, with Pixelmator, you have to use the menu for such operations. A settings menu contains tools for universal adjustments like size and orientation, rulers and guides, enabling external pens and the help menu. 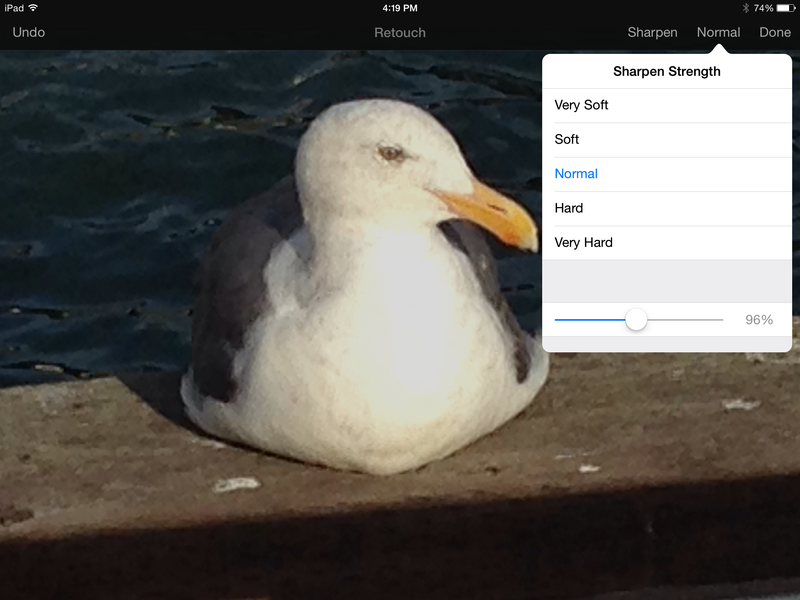 Layers enable a variety of compositions using images, shapes and styles. Pixelmator also integrates iOS 8 technologies such as iCloud Drive, Handoff and Extensions and is compatible with most file formats such as PNG and JPEG, as well as layered Photoshop images. A sharing tab lets you choose a format to send a copy of your image, open it in a different app, or save it to either iCloud or the Camera Roll. 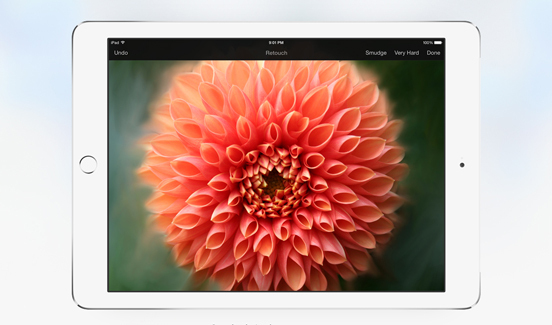 Pixelmator for iPad is fully integrated with iOS 8 technologies. Pixelmator’s first foray into the mobile realm keeps things simple, and sticks to the iPad as a platform of choice. That makes sense, but seeing as iPhones have grown so much larger, and thus easier to use than ever for drawing, painting and image editing, the inevitable call for an iPhone version of the app would be no surprise. 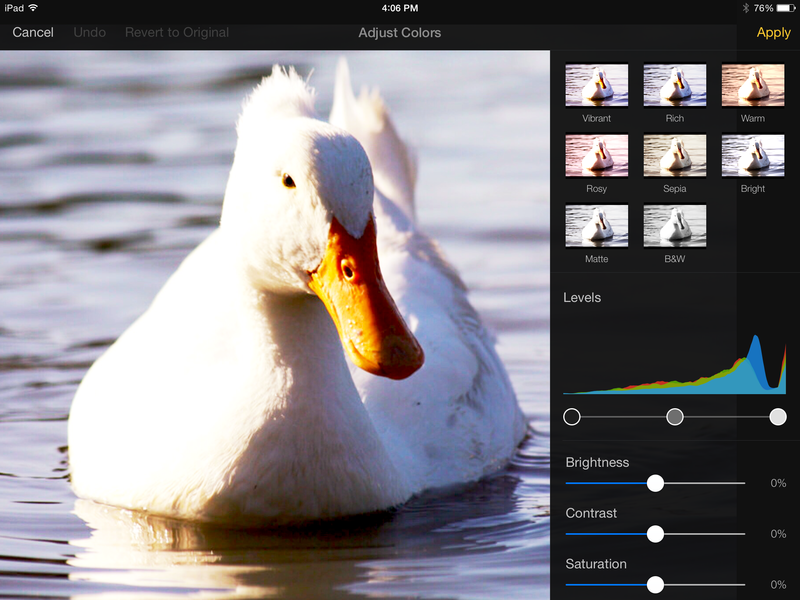 Pixelmator is optimized for iOS 8, costs $4.99 and is available from the App Store.